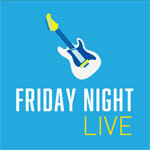 Jam out with some of your favorite local bands heard on 93.3 WMMR with free live music from 5:30-7:30pm. 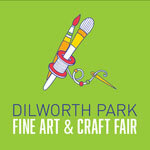 Plus, look for appearances by WMMR DJs, and enjoy snacks and beer, wine and cocktail specials from the Air Grille. It was so popular for Spring Training, that we're keeping it going! 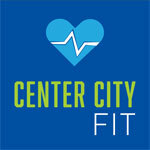 Come to Dilworth Park for free weekly group fitness programs! Top-notch trainers from Optimal Sport Health Clubs lead yoga and boot camp classes right at City Hall every Monday and Tuesday night. Philadelphia's center stage, powered by Live Nation, shines every Wednesday and Thursday afternoon, with a showcase of live music from local musicians. In June, jazz will be at the forefront, showcasing some of Philadelphia's most groundbreaking and innovative artists. The summer's best happy hour is Sips at Dilworth Park. Enjoy $6 refreshing Hornitos and Effen Vodka cocktails, $5 wine, and $4 Michelob Ultra and Bud Light along with a DJ each week to get you in the mood to groove. Stick around for more fun after Sips, as the DJ spins until 8:30pm. Look for special Temple Take Over Nights presented by the Temple University Alumni Association. 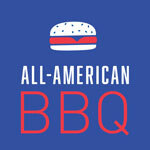 This All-American BBQ will get your taste buds watering with the Bud Light Beer Garden and foods hot off the grill, plus tasty BBQ, by the Dilworth Park Café. A great lineup of DJs and live music, along with a series of fun activities and games, will make this one of summer's best events. The first party of the Wawa Welcome America festival kicks off at Dilworth Park and the City Hall Courtyard. 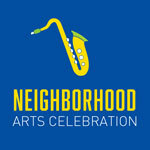 Enjoy nonstop entertainment on multiple stages celebrating Philadelphia artists and neighborhoods. 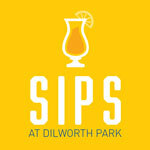 From 5-8pm, beat the heat with refreshing summer cocktails and cold beers while sitting outside at the Dilworth Park Café and Air Grille. In partnership with Wawa Welcome America, City of Philadelphia and Center City District. Pack up the stroller, bring all the kiddos and let everyone know. 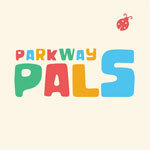 Parkway Pals is here! Come outside for a gaggle of educational good times. The Pals are bringing their free museum fun, games and learning out to the park. Enjoy stories from the Free Library of Philadelphia, followed by nature-themed crafts with Philadelphia Parks & Recreation. Join The Franklin Institute every Monday to learn how to bring the FUN back into science! Each week a different activity will be introduced by Philadelphia Parks & Recreation staff. Let your imagination and creativity come out to play with weekly craft projects inspired by The Fabric Workshop and Museum. Join the Academy of Natural Sciences of Drexel University for fun-filled natural science activities for budding young scientists! This BYOB event returns for another season at Sister Cities Park, featuring singer-songwriter style live music each week. Logan Square Café inside the park will offer a special summer grilling menu and the Children's Discovery Garden will offer extended hours. You can also enjoy Chaddsford Winery wines by the glass ($6 to $8) and PA craft beer cans ($6), or purchase wine by the bottle to take home ($12 to $18). 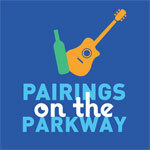 Unwind with friends and in the Wine Garden at Collins Park. 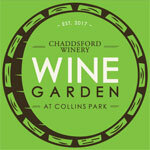 Conveniently located, for workers and residents, at 1707 Chestnut Street, the Wine Garden at Collins Park offers Chaddsford wines by the glass ($6 to $8) and PA craft beer cans ($6), or wine by the bottle to take home ($12 to $18). Proceeds from the Wine Garden at Collins Park will help support the Center City District Foundation. 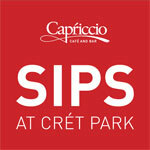 This summer, Capriccio Café and Bar provides a CCD Sips oasis on the Parkway, with outdoor seating, $4 beer, $5 wine and $6 cocktails, and live music each Wednesday, 5-7pm!